Author: Wilde, Kelley Set In . . . While running for life from a loan shark, Jean-Paul Bouchette leaves a custom-tailored suit in an unlocked Toronto subway locker. An hour later, as Bouchette is killed, a timid clerk named Victor Frankl finds the suit and takes it. No, he doesn't mean to steal it. He just wants to try it on. It's far too big, but his fate's cinched when he begins to wonder: what if he works out and grows till it fits? Grow he does, with astonishing speed until the suit seems custom-made. Now the suit itself seems to dictate the additional changes he makes: he wears his hair longer and grows a mustache, puts new swagger in his walk, makes winning moves on the ladies. Unknown to Victor, he's now a marked man in a game with an old evil that needed a ringer for Jean-Paul Bouchette. 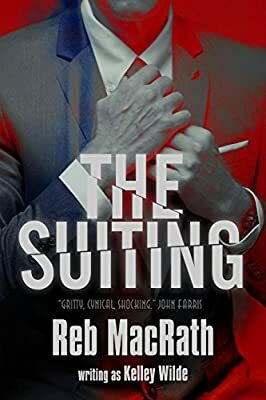 --The Suiting is the first of four novels written by Reb MacRath as Kelley Wilde from 1988-1993. Published in hardcover by Tor Books in 1988, it won a Bram Stoker Award for Best First Novel and was optioned for film. For this special Anniversary Edition, the original version has been extensively rewritten for greater clarity, speed and impact. --The Suiting was cited by Don D'Ammassa as one of the 100 most influential horror novels. --The Suiting was optioned for film, screenplay written by the author. --Famous Canadian designer Lou Myles inspired the Blake Tobey suit. The name was changed, with regret, for fear that a haunted suit might not have been good for business. Ironically, Lou laughed like hell and said he wished his name had been kept. --Derek Cole, the murderous loan shark, had been created with James Coburn in mind. But the prospective film producers worried that he might be too old and infirm. A damned shame, since JC was fit enough to do his own stunts three years later in the movie Hudson Hawke.